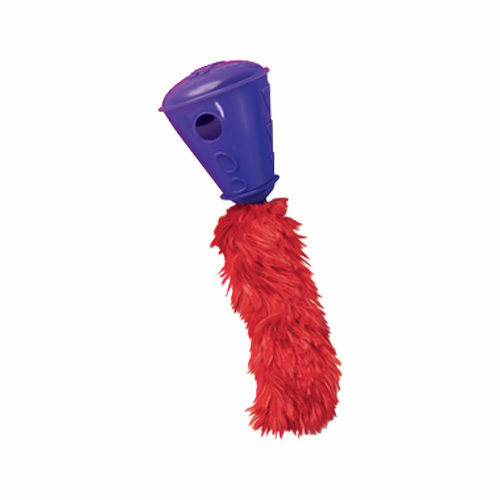 The KONG Cat Treat Cone is an active toy for your cat. The toy has been specifically designed to stimulate your cat's hunting instincts. You can fill the toy with tasty treats that give extra motivation to keep playing. The KONG Cat Treat Cone is a challenging toy for your cat. The toy stimulates a healthy hunting instinct. The cat will want to chase, stalk and catch the toy. By putting treats in the toy, you make it even more interesting for your cat. Have you used KONG Cat Treat Cone before? Let us know what you think about this product.